Tightening bike brakes typically requires three hands. If you're a person with only two hands, you need old bike inner tubes. Simply wrap the old bike inner tube around the brake pads and pull tight until the pads are the desired distance from the rim. They you can easily adjust the bolt securing the brake cable so that the cable is taut with the brake pads in that position. You can't do this kind of repair with duct tape, which is factually not as useful as old bike inner tubes. In these times of vicious partisanship, the duct tape community is likely to vociferously attack this objective report of a key bike repair. While old bike inner tubes have much greater elasticity than duct tape, the Ode Street Tribune will not engage in mud-slinging. The persistent campaign by the Ode Street Tribune to discredit duct tape is unfortunate. Why does an outstanding institution such as the Ode Street Tribune continually wage a campaign against a product that has done so much for the world? What has duct tape ever done to hurt you? Think of how many disasters have been avoided by the use of duct tape. If the only thing available would have been old inner tubes, many catastrophes avoided by the use of duct tape, would have resulted in much needless suffering. People who regularly use duct tape are reasonable informed and thinking people who view each situation and choose an appropriate solution. Duct tape cannot solve all the world’s problems. Some situations, like the one described in this article, require the use of string. String would have held the brake pads much more efficiently than an old inner tube. 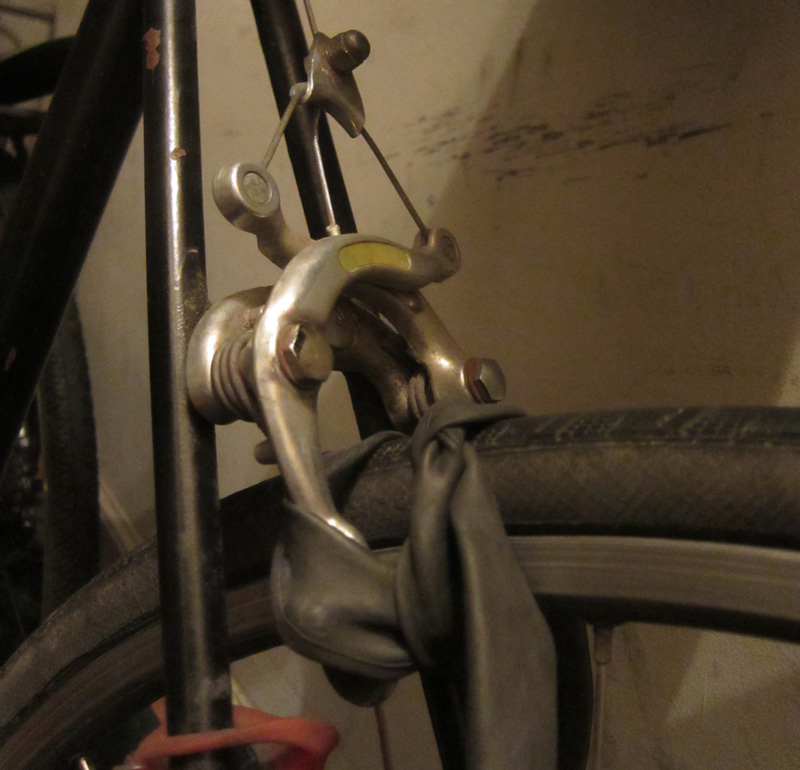 People who regularly use duct tape (regularity is important) also realize that old inner tubes can perform a function. They can fill up trash bins.